"These have a reputation for being birds of the dark or of the twilight, and are sometimes called the Sundown Parrots. Years ago Charles Sturt referred to the bird's nocturnal habits and recorded that during the day it stayed in bushes behind his camp, and only came in to drink when it was so dark that often it flew into the tent rope. *Schurmann, Ted (1984). 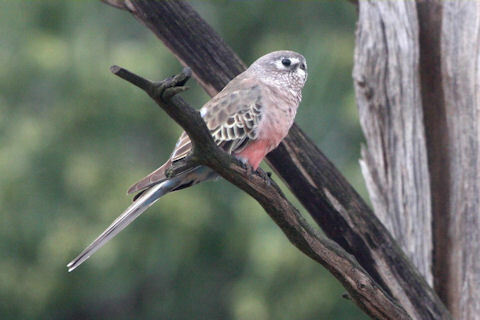 Australian Birdwatcher's Diary. Rigby Publishers, p.84-85.